This movie isn’t for everyone; let me get that out first. Some of the scenes are the most graphic you’ll ever see. In saying that, Leonardo DiCaprio gives an astonishing performance in a tale of survival and revenge that makes you feel like you are right there with him. Oscar should come knocking. 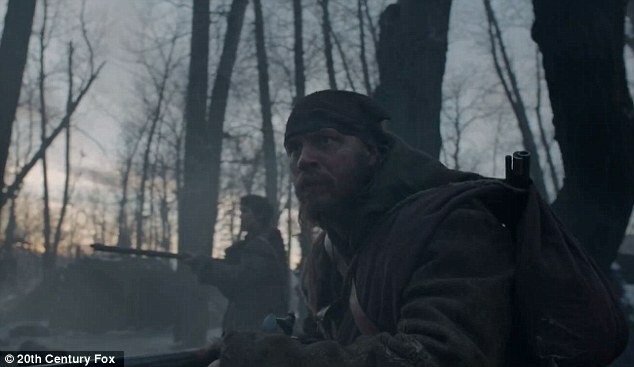 Based on a true story DiCaprio plays ‘Hugh Glass’, a fur trader who pushes himself to the edge of what man can endure. 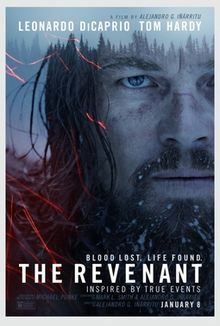 Set in the frigid snowy uncharted wilderness of present-day South Dakota in the early 1800’s, Glass not only battles the elements but also Indians, Frenchman, the local wildlife and a man named ‘Fitzgerald’, Tom Hardy (The Dark Knight Rises). ‘Glass’ will do anything to survive, suffering through his own horrific injuries, driven by flashbacks of those he loves to exact revenge on who have done him and his family wrong. We feel his pain, in numerous lingering close up shots directed by Mexican maestro Alejandro G. Inarritu (Babel), ‘Glass’ is clearly near death, not an easy thing for an audience to endure. 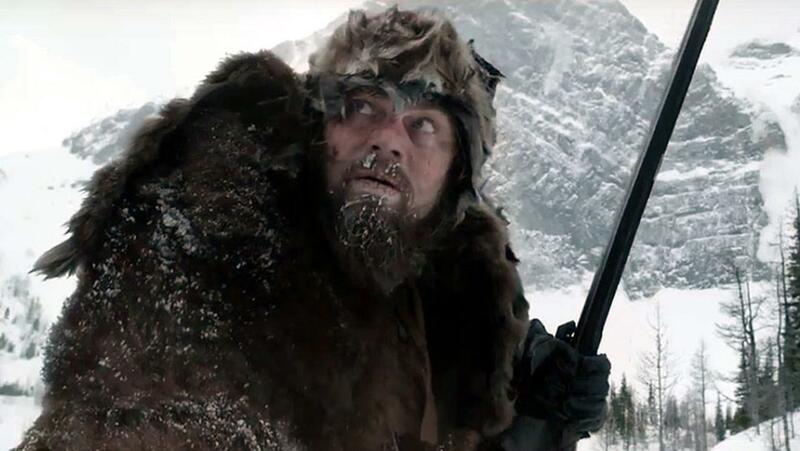 This isn’t a date movie by any stretch as DiCaprio superbly acts his way through obvious sub zero temperatures and hardships as evidenced by jumping into icy rivers, really eating Bison liver and battling hypothermia. A crewmember called this shoot ‘a living hell’, not surprising considering that large numbers of the crew either quit or were fired. The Cinematographer insisting on shooting in 90-minute natural light windows for realism in often blizzard conditions with equipment freezing and trekking to suitable ‘shooting’ locations. These lands are harsh, in the 1800’s of the undiscovered frontier; death is rampant with warring Indian Tribes and even deceit within your own military posse. Tom Hardy as ‘Fitzgerald’ will do whatever it takes to survive, including sacrificing those around him. Hardy is great here, as always, I remember him as the slow-witted bartender Bob in the mobster movie (The Drop) matching it with the great James Gandolfini. He does the same here, going at it with DiCaprio, matching his intensity. Ultimately though, this is DiCaprios’ movie, its not an easy movie to watch but sometimes those are the ones that stay with you the longest, for all the right reasons. Can Djokovic pass Federer’s Grand Slam total? This website is protected by copyright and any unauthorised distribution of the content on this site is prohibited.